You guys know my passion for running. You know how much I like to talk about it. So, I have found an outlet for my running rambling. Visit weekly please! Comment! Is there something Atlanta running related you would like to know about? I would be glad to write about it. In other news.. 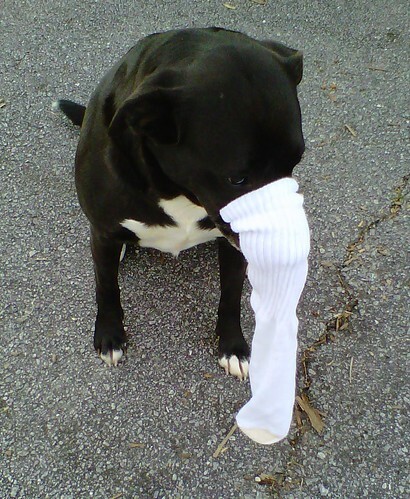 I put a sock on Betsy's nose today and instead of pulling it off with her paws, she just left it.